Torremolinos is situated 8 km west from Malaga, this former fisher village has been the mayor pioneer of tourism in Andalusia since the 1950s. All kinds of national and international flavors can be found in plenty of bars, beachfront cafes and restaurants. 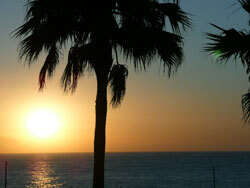 Torremolinos has a very active nightlife during the summer months with lots of nightclubs that remain open until late. The beaches as well have contributed to its popularity, as the they tend to be wider and longer as many others along the Costa del Sol. There are numerous water sports and activities available. As well you find here "Aqua land", the largest aquatic park along the Costa del Sol.